Energy poverty and the economic crisis, hydraulic fracturing or ‘fracking’, climate change, water contamination and earthquakes all add to the confusion around the topic of whether shale gas exploration should be allowed in Europe. Fear and uncertainty seem to be used by different stakeholders - NGOs, politicians and industry - to try to convince the public about their different positions. Just as the debate was about to start, a group of environmental activists from Greenpeace and Friends of the Earth rushed into the conference hall shouting, “Keep shale gas outside Europe!” The action lasted a few minutes but it was enough to add some spirit to the event. Immediately after the incident, the debate was launched by European Commission Director General for Energy, Philip Lowe who suggested that the audience and the rest of the panel should be “very cautious” when it comes to replicating US shale gas practices in Europe. Niki Tzavela, Greek MEP and Vice Chair of the European Parliament Delegation for relations with the United States, on the other hand argued vigorously in favour of shale gas saying that “Shale gas is the opportunity and should be seen as a challenge, not as a threat.” She urged the audience to consider the energy stress experienced by Eastern European countries like Bulgaria and Romania – who also happen to have a considerable amount of shale gas resources. One thing is for sure. 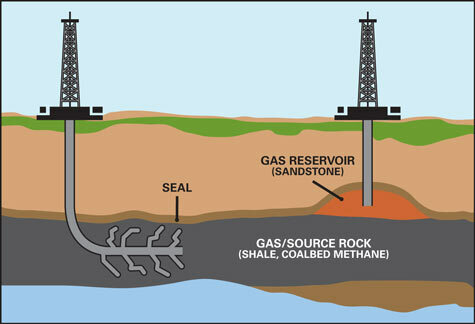 Arguments around shale gas are diverse, interests collide and according to the debate, there in insufficient scientific evidence, at least in Europe.